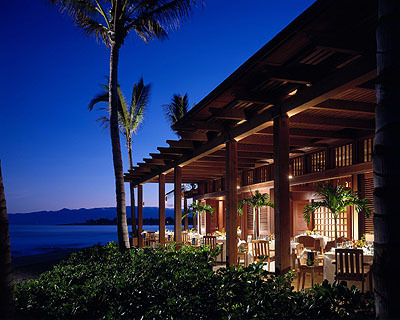 Four Seasons Resort Hualalai will reopen its doors Saturday to the delight of new and loyal patrons who have enjoyed its hospitality and luxury for 15 years. West Hawaii Today. Hawaii legislators agreed on a final version of the state's $11 billion annual budget Thursday before determining exactly how to pay for it. Associated Press. Hawaii lawmakers agreed on an operating budget Thursday evening that calls for spending an additional $800 million a year for each of the next two years. Civil Beat. Pushing up against a midnight deadline, state lawmakers are expected to choose today the tax and revenue-generating options they need to balance the budget. Star-Advertiser. In an unusually early end to an unusually challenging budget process, state lawmakers began laying out the details of the two-year budget that they said eliminated a $1.3 billion potential deficit. KITV4. The conference committee made up of both House Representatives and Senators approved the state budget by a vote of 28-0 Wednesday night. Hawaii News Now. Hawaii legislators are planning a state budget that funds an end to public employee furloughs while reducing the cost of running the government. KHON2. Late this afternoon, Hawaii’s House and Senate money committees passed a budget that grows the size of government, restores many cuts lawmakers made earlier this session to Gov. Neil Abercrombie’s budget proposal and includes funding for new state positions. Hawaii Reporter. A requirement for more class time in Hawaii public schools will be phased in over the next few years, according to compromise legislation reached Thursday that delays parts of a law designed to increase student instruction. Associated Press. In a last-ditch effort, Sen. Malama Solomon revives casino proposal. Civil Beat. Taxing pensions is a contentious issue at the legislature this session as lawmakers look at all potential sources of revenue to balance the budget. Hawaii Public Radio. A proposal to impose "instant runoff" voting in county elections has been tabled at the state Legislature this year. Star-Advertiser. The state Legislature has given final approval to a two-year extension of a law protecting journalists from having to reveal anonymous sources and private notes. Star-Advertiser. Ask any council member or county finance officer where Kaua‘i County’s budget stands today and the story is the same: “We’re in a sound financial position,” thanks to years of conservative tax-and-spend policies. Garden Island. Law enforcement officers arrested two protesters Thursday morning for obstructing a contractor hired by the state government to dig a leach field in Kaumuali‘i Park, next to Wailua River, in an area were human skeletons and old Hawaiian artifacts were reportedly unearthed. Garden Island. Friends of Lāna‘i petitioned Hawaii’s Public Utilities Commission to reopen the competitive bidding process for the multi-island “Big Wind” project yesterday. Hawaii Independent. Hula links Hawaii with dancers from hard-hit Japan. Star-Advertiser. Hawaii visitor arrivals in March came in 4.2 percent higher than last year, and spending rose 11.8 percent, despite a plunge in Japan arrivals after the earthquake, tsunami and radiation leaks that began March 11. Hawaii News Now. The price for a gallon of regular gas broke the $6 mark this week in remote Hana, Maui, notching a record that is consistently being topped. Star-Advertiser. The rising price of gasoline has affected what shoppers pay for food and consumer items, but one business not allowed to pass increases along to the consumer is taxicabs. Tribune-Herald. In a case of getting what you pay for, Hele-On bus riders may be charged fares for the first time in years and also receive improved service. Tribune-Herald. Hawaii disaster planners continue to learn from the March 11 tsunami event the caused an estimated $30.6 million in damage, most of it at boat harbors on Oahu, Maui and the Big Island. KHON2. Six Hawaii schools travel to St. Louis for FIRST Championships. KHON2. Three public advocacy groups have asked the state Reapportionment Commission to rescind its decision to require only three days' public notice for its meetings. Star-Advertiser. The state Transportation Department’s Halawa Stream Bridge project has run into numerous problems and delays, causing a five-and-a-half-year delay and millions of dollars in cost overruns. KITV4. The Maui Planning Commission unanimously endorsed an interim state Department of Transportation plan Tuesday to protect Honoapiilani Highway where the ocean continues to threaten the roadway on the Lahaina side of the pali on a pebble beach in Olowalu. Maui News. It was Maui’s Tori Hulali Canha of Halau Ke‘alaokamaile who took the Miss Aloha Hula title at Merrie Monarch last night by a slim margin of three points. Star-Advertiser. Thousands of people packed into Hilo's old tennis stadium to witness a performance the likes of which has not been seen for more than a hundred years. Tribune-Herald.